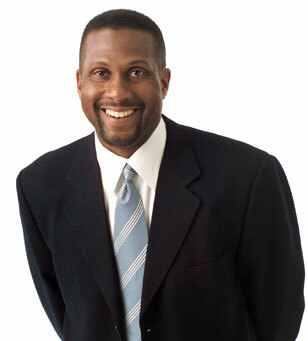 The Indiana University (IU) School of Public and Environmental Affairs (SPEA) will name the atrium of its IU Bloomington building for one of the school's best-known and most distinguished alumni: TV and radio host, author, philanthropist, advocate and documentary filmmaker Tavis Smiley. A Kokomo, Indiana native and one of 10 children, Smiley arrived at IU Bloomington as a student with an admission letter, a suitcase and a few dollars in his pocket. Befriended by the late Jimmy Ross, who was then director of the IU Office of Scholarships and Financial Aid, he thrived at IU and later went on to a remarkable career in politics, broadcasting and publishing. Museu Afro Brasil will host Obama to King, a photography exhibit organized by Washington, D.C. resident, photo archivist, consultant and historian Donna Wells, who died suddenly Monday, November 2, 2009. Memorial services for Wells was Monday, November 9, 2009 at Rankin Chapel on the Howard University campus. Wells was the former curator of Prints and Photographs at the Moorland-Spingarn Research Center at Howard University. She published numerous reviews and articles on the history of the African American image. Port of Harlem featured her in “Keeping it Natural,” in the August - October 2004 print issue. Metro Stage presents Pearl Bailey ... by Request with, an evening of music and stories performed by Roz White as Pearl Bailey, the legendary songstress, acclaimed actress and irrepressible show biz personality. Pearl's most requested songs include "Baby, It's Cold Outside," "St. Louis Blues" and "Ain't She Sweet." Pearl is joined by Hot Lips Page, played by MetroStage favorite William Hubbard. The show opens Thursday, November 19 to Sunday, December 20, 2009. We have free tickets for the first person who can answer this question correctly: In which church's community center is BZB International Black Gift Show held every holiday season? When asked by e-mail, the winner must respond within 24 hours with the address in which we shall send their ticket voucher. A photographic journey by members of the Exposure Group including POH cover photographers the late Nester Hernandez and Jason Miccolo Johnson takes place at the International Visions Gallery, 2629 Connecticut Ave, NW. The exhibit opened Saturday, November 7 and run to Friday, December 4 with the opening reception Saturday, November 14 from 6:30p - 9p. Today, Americans are free to travel anywhere in the world except Cuba. In April, President Obama took a bold step by making it easier for Cuban Americans to visit their families in Cuba. Opinion polls show that the overwhelming majority of Americans believe that all U.S. citizens should have the freedom to travel to Cuba. If you agree, sign this petition. Karolyn Smardz Frost of Collingwood, Ontario, Canada has been awarded the 2009 Underground Railroad Free Press Prize for the Advancement of Knowledge - for her award-winning book, I've Got a Home In Glory Land: A Lost Tale of the Underground Railroad, her archaeological work on Canadian Underground Railroad sites over the last 25 years, and public lecturing. Fern Luskin and Julie Finch have been awarded the 2009 Underground Railroad Free Press Prize for Preservation for their unflagging work in saving the Hopper-Gibbons House, an important Underground Railroad safe-house and center of abolitionism in New York City. The Smithfield Community Association of Peterboro, New York, has been awarded the 2009 Underground Railroad Free Press Prize for Leadership in the Contemporary Underground Railroad Community. The Underground Railroad Free Prize is the highest honor bestowed in the international Underground Railroad community. Free Press Prize winners are chosen by an international panel of judges including POH publisher Wayne Young. I enjoyed her message in the letter, but I did not give it much significance. As with all letters that I receive from readers, I immediately responded by thanking her and sharing a little about myself. A week later she wrote me again. In the second letter she wrote about the importance of love and maintaining a thankful spirit. She shared with me that she had recently purchased a cat from the Humane Society. This letter really piqued my interest, she seemed so funny and down to earth. Within a month we were exchanging at least three novella-length letters per week. What I remember most is her solid faith. If the Bible said it, Ivy believed it. Her faith ignited my waning faith. If she told me that I could flap my arms and fly over these walls, I would have believed her. Reach Colbert at #211269; JCI; Box 534; Jessup, MD 20794 or via tcolbert@portofharlem.net. Follow their blog at www.fragrantlove.blogspot.com.